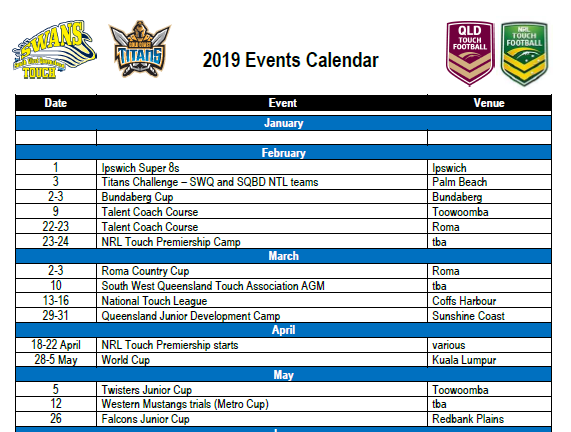 2019 is set to be another busy year in South West Queensland! 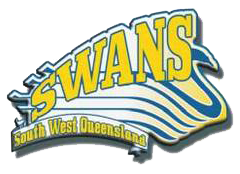 With the return of the Swans Junior Cup (rebranded SWQ Titans Junior Cup), and the addition of the QTF Senior State Cup at the end of the year, there are some amazing opportunities for Junior and Senior players across the region. Get in touch with your local affiliate to be a part of the action! Providing opportunities for players, Coaches and Referees to participate in Touch Football Australia affiliated competitions since 1980. Get in touch!